[RENTON, WA October 8, 2018] — Avanti Markets Inc. — Reinforcing its position as the premier provider of unattended retail market experiences in the United States, Avanti Markets introduced inspired new products and enhancements designed to advance the industry. Avanti Markets showcased its Smart N Go intelligent secured solutions for public and high-theft locations. 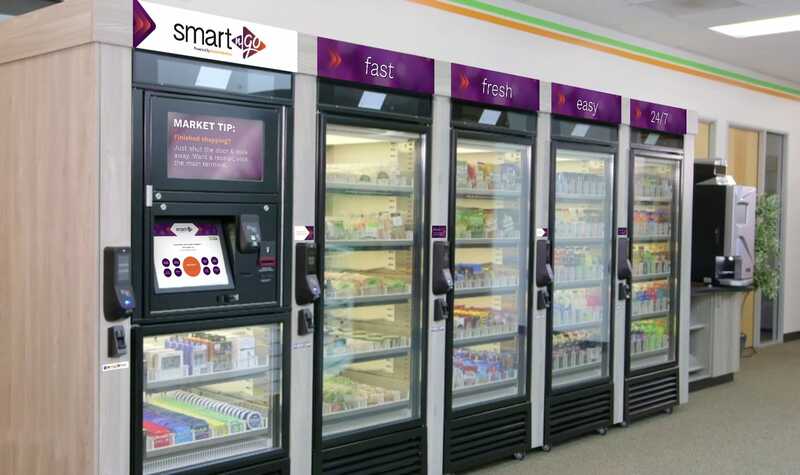 Both the secured-intelligent and scan-and-go models can be configured as a single standalone module or as a comprehensive market solution combining refrigerated, frozen and room temperature units along with fresh coffee and more. Physical Inventory Tracking, a dashboard and drill down tool that allows operators to track the frequency and accuracy of inventory performed by staff by routes and even down to the product level. Because inventory is an investment, operators need to know where their inventory is, and they want an accurate count in real time. Physical Inventory Tracking allows operators to easily find the bottlenecks and problems, so they can respond quickly. Managing Inactive Market Accounts, inactive or stale accounts, can be a challenge for year-end closing financials. Extended vacations, sabbaticals, maternity leaves, medical leaves, terminations – factors like these play into whether an account is actively in use. This new tool from Avanti Markets helps operators manage these market user accounts to segregate these stale balances off active records. To learn more about Avanti Markets and its new tools, email us at info@AvantiMarkets.com. More than just a micro market solutions provider, Avanti Markets delivers impactful experiences for micro market operators and customers through innovation, technology and excellent products and services. The business that started with just one soda machine in 1976 is now the trusted leader in unattended retail market experiences, with thousands of micro market kiosks throughout the U.S.